This program introduces the youngest children to the world of computers. All the activities have been developed to stimulate children and help them acquire the skills necessary to learn in an entertaining way. 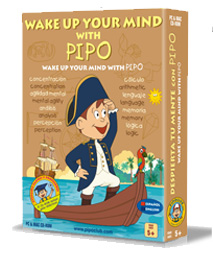 This software was developed with the understanding that children undergo a developmental stage where they have an astounding capacity to absorb a considerable amount of information. 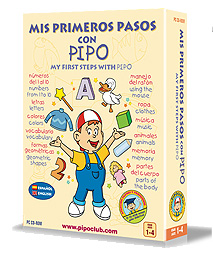 Children will enhance their intellectual development in a simple, exciting, and practical way. Even though children may not yet know how to read, they can play and train their mental alertness. They will go on fantastic journey accompanied by PIPO. Explore the sea and unknown lands. 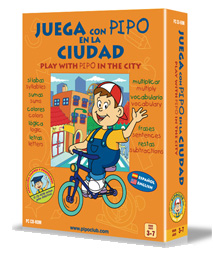 A Fully, interactive game were children are exposed to educational goals within each scenario. Your child will benefit from becoming familiar with various recreational and educational subjects. 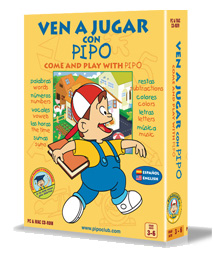 Children feel driven to imitate Pipo and quickly learn to correct their diction. Navigation is really intuitive, which allow children to promote their autonomy and individualized learning.